You can save time and additional expense by having the vessel accessible and prepared for the inspection. It should be clean, and you should have all paperwork and miscellaneous gear available. If applicable, you might need to make arrangements with the marina to haul the vessel for bottom inspection, and have a captain available for a sea trial. Lockers and cabin areas of the boat should be cleared prior to the arrival of the surveyor. The marine surveyor may request minor dismantling of interior ceilings, headliners, and flooring in order to gain access to certain areas. 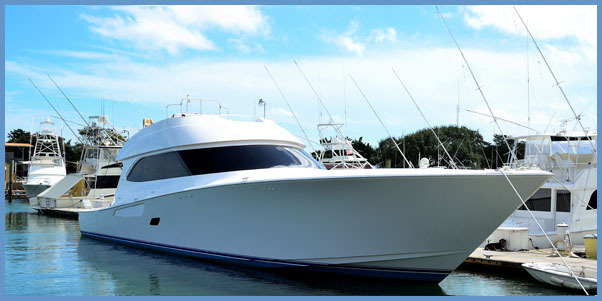 The dismantling and re-installation of the parts should be done by a qualified professional familiar with the type of boat you own and is the responsibility of the person who orders the survey. Written authorization from the owner of the vessel might be needed to board and/or remove any part of the vessel. Once retained, a surveyor works only for you and reports to no one else. Remember, the surveyor is there to protect your interest. AAC Marine Surveyor has a two-step process involving the marine survey itself. First is the inspection of the boat itself. The inspection process involves a very detailed and thorough inspection of both the interior and exterior of the vessel. All components of the vessel are inspected for condition and compliance with regulations. Any cosmetic conditions are also noted. Second, a report is then written giving a detailed summary of the findings including vessel specifications is listed. Comments and recommendations are made in relationship to the findings. Detailed descriptions of structural findings and equipment are listed and then an assessment of market value, overall condition, insurability and value (if needed). AAC Marine Group, Inc. expects payment on the day of inspection. Absolutely no information will be released either verbally or written without payment. Payment is by cash, personal check, money order, or wire transfer. AAC Marine Group performs inspections throughout West-Central and Southwest Florida, including Ruskin, Bradenton, Palmetto, Holmes Beach, Anna Maria Island, Longboat Key, Sarasota, Siesta Key, Venice, Englewood, Port Charlotte (Charlotte Harbor), and more. 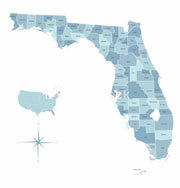 AAC is also available to travel outside the state of Florida. To learn more, call us, toll free 727-647-7112. You can also Contact Us online.